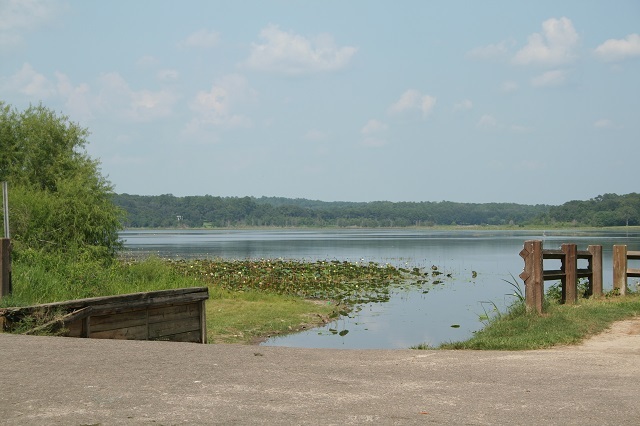 This small boat landing provides another vantage of Lake Jackson. Wintering ducks such as Bufflehead, Ruddy Duck and Lesser Scaup are plentiful on the lake between November and February. Wading birds like Snowy Egret and Little Blue Heron are often present and Bald Eagle and Osprey are a common sight between October and May. Limpkins are very common year-round and it is not unusual to see them sitting in the cypress trees by the boat ramp. Look for Wilson’s Snipe hiding in the shoreline vegetation and Eastern Bluebirds perched on the wooden boardwalk rails. Large numbers of wintering gulls often gather on the lake in the late afternoon mostly Ring-billed but scope through them carefully as both Herring and Bonaparte’s can be present. Several rarities have been spotted by local birders in recent years including White-winged Scoter, Eared Grebe and Red-throated Loon.